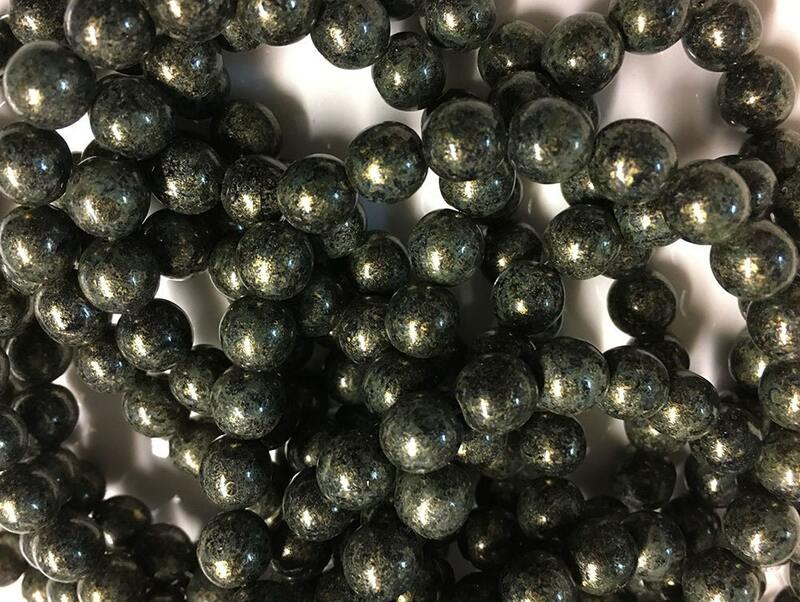 Antique bronze picasso Czech glass round Druk beads measuring 8mm! Splatters of brown and black on green. There are 25 beads per strand.